WestJet employees have voted overwhelmingly to endorse the company's plans to launch a regional subsidiary starting in 2013. "There are not many organizations that would put such a strategic decision in front of the employees for their input and approval," said Antonio Faiola, a WestJet flight attendant that represents employees on the company's board of directors. 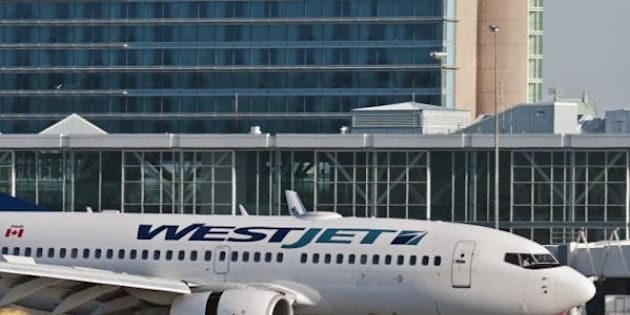 WestJet chief executive Gregg Saretsky said he's pleased that 91 per cent of non-union employees, known internally as WestJetters, voted in favour of the proposal. The proposal includes the purchase of up to 40 smaller turboprop aircraft. "The opportunity presented to WestJetters has been very well received and I thank them for their input and consideration," said Saretsky. WestJet says now that the plan has been endorsed by its employees, it will send request for proposals to two airplane manufacturers to make those smaller aircraft: Bombardier, which makes the Q400 currently in use by Porter Airlines, and ATR, which makes the ATR 72-600. WestJet is raising its dividend by 20 per cent, as the airline reported Wednesday that profits fell 4.3 per cent in the fourth quarter. The Calgary-based company said the quarterly dividend will climb a penny to six cents per share, to be paid on March 30. WestJet posted lower profits of $35.6 million, or 26 cents per share, compared to $37.2 million, or 26 cents per share in the comparable period of 2010. The results beat average analyst expectations of 20 cents per share, according to a poll by Thomson Reuters. Revenue grew 12.9 per cent to $721.5 million from $692.2 million.